If you are interested in living inside the Costa Calida (Murcia, Spain) and do not know where you can buy a home, our real estate agency advises you to try and buy one of our fabulous resale properties in Torrevieja - Costa Blanca. This city is fantastic to live throughout the year. The reason for this lies in its location on the geographic map. Torrevieja - Costa Blanca is a city located north of the Region of Murcia and borders the province of Alicante and Albacete. Thanks to this, Torrevieja - Costa Blanca enjoys a formidable climate, both in winter and in summer. Its proximity to the Mediterranean Sea gives it a characteristic climate of this area. Its winters usually have average temperatures of 10 to 13 degrees, leaving mild and pleasant climate. In summer, average temperatures usually range between 28 and 30 degrees. As we have indicated, Torrevieja - Costa Blanca is located a few kilometres from the Mediterranean coast (Costa Blanca, Alicante). In this way, if you love the sea and the sand and want to enjoy the main beaches of south-east Spain, with our second-hand properties in Torrevieja - Costa Blanca, you can move around in a few minutes and enjoy fun days with your family. 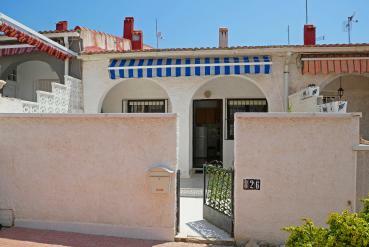 What types of resale properties in Torrevieja - Costa Blanca does Casas Espania have? If the client accesses our catalogue of resale properties in Torrevieja - Costa Blanca, he will be able to observe an extensive and varied range of housing in Torrevieja - Costa Blanca. Casas Espania has more than 50 properties so that the client can choose the home that suits him or that catches his attention. We have apartments, farms, land plots, townhouses and villas. As you can see, we offer a varied list of properties so that, depending on the needs of the owner, access to one or another housing. What do you have to do to buy one of our resale properties in Torrevieja - Costa Blanca? On the one hand, visiting our office located at Comercial Bizet Street, Local 6 La Siesta - 03184 Torrevieja (Alicante). You can call us at: 0034 966 785 202 | 0034 669 366 996. Or you can write us your doubts to our email info@casasespania.com. And on the other hand, you can move to our other headquarters, located at La Zenia Golf 4B, Orihuela Costa (Alicante). Here you can contact us by phone by calling: 0034 965 083 434 | 0034 678 756 648 | 00441144630003.